Three blown glass vessels of varioud shapes are positioned horizontally on metal stands. Inside each vessel is a small lapel microphone connected to a three channel sound mixing board. The vessels pick up the sound of of their surroundings and the microphones relay the sound to the mixing board. 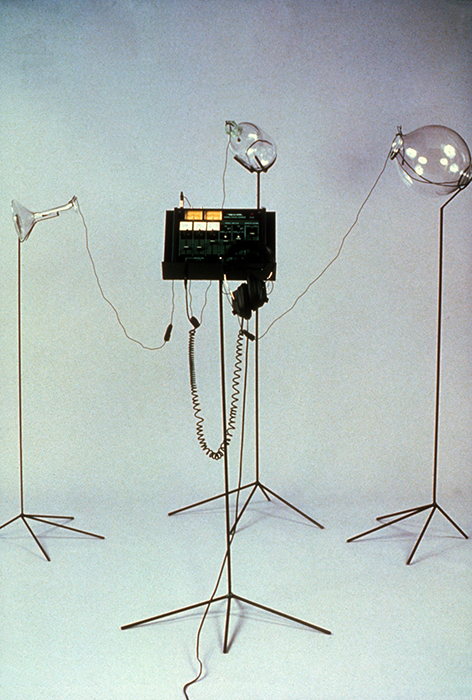 The viewer can put on the headphones and then independently adjust the volume of each vessel to mix their sounds into a unique composition.